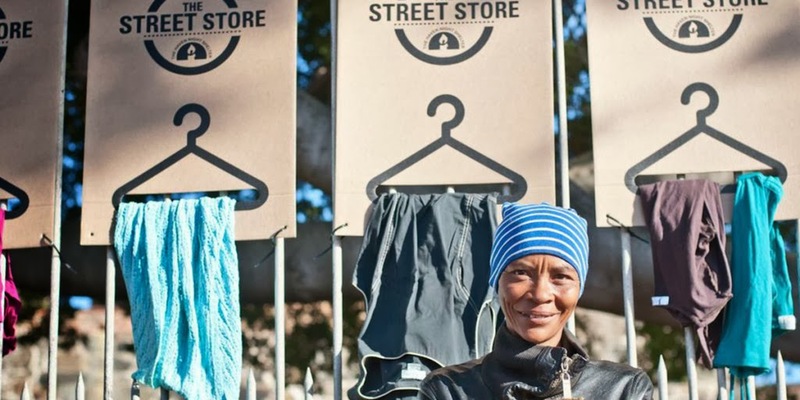 What was the inspiration for The Street Store and how did you make it a reality? We work in an advertising agency and the area we’re in is very hip and trendy, but also has a huge homeless problem. We wanted to bridge the gap between the haves and the have-nots, while making it easier to donate and more dignified to receive. The middle ground we needed was right in front of us: The Street. Of what achievements are you most proud the Street Store has been able to accomplish? We took 500 shopping bags to our first pop-up, which ran out in two hours. Each bag contained three items. The store remained open until the evening and we gave the shoppers clothes in packets. You do the math! We are thrilled that in one day we could help so many people. Also, we are so incredibly grateful that we have received such positive support and encouragement from around the world. We truly hope that people get involved and host their own stores. What do you see as the future of The Street Store? Our short-term goal was to help people in our community donate and receive donations. However, our long-term goal is far more significant. Homelessness isn’t a uniquely Capetonian problem. It isn’t even a South African problem. It’s international. Therefore, we are going to make all our artwork, files and a “how to” guide completely open-source, so that anyone from around the world can download the information and make a difference in their community. Now our success is in the spread of the campaign around the world, helping the homeless internationally. We hope that people will take hold of the idea and run with it. While we were the creators, you be the curators. Each and every store will mean the world to us. But making a difference is not something that you do once. We don’t believe that you can ever stop trying to be a better person. So, who knows what’s next? But we aren’t stopping here. What advice do you have for someone who would like to make a mark but doesn't know how? There are so many people out there who want to start an initiative of their own and have no idea where to begin. That is a great benefit of the open-source platform. We want those people - the ones who really want to make a change - to use The Street Store concept as their initiative. We have done everything to make it as easy as possible for YOU to make a difference in OUR world. For more information about The Street Store or to learn how to set a store up where you live, visit the blog.